It's not complete, but it is usable. You can see everything coming together. 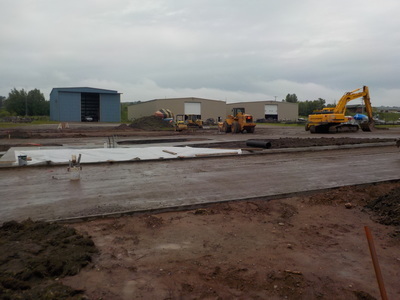 Construction began over a month ago and we are now able to see the construction area take shape. 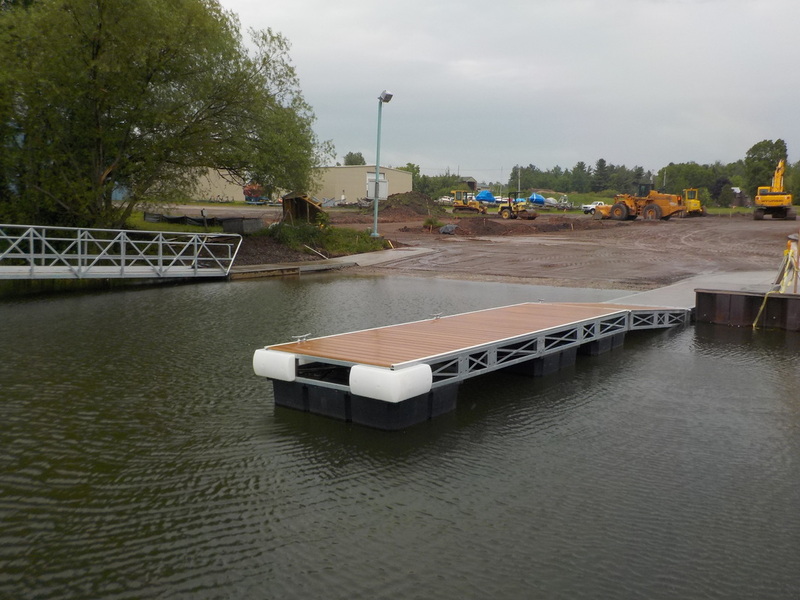 The new ramp boarding piers are in place and can be used for launching and hauling boats at the boat ramp. On the northwest boarding ramp there is a railing on the water side of the boarding pier for ADA (Americans with Disabilities Act) compliance. Boats can be pulled off a trailer to just beyond that point. 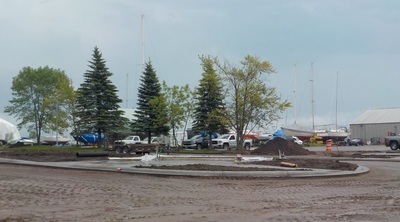 The new courtesy piers are in place and the decking will be down by June 17, 2016. 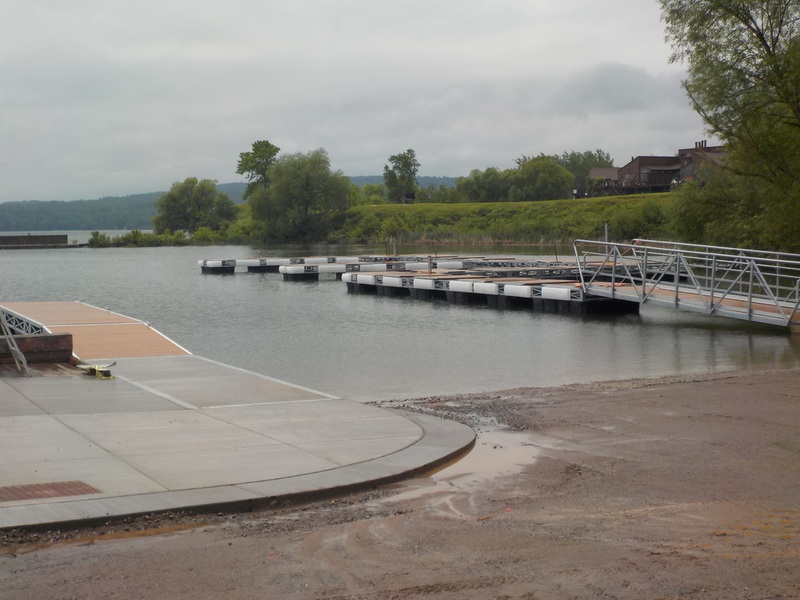 In the near future look for cleats, water and electric service at these piers. The travel lanes and parking area is taking shape. Although it is gravel now, we will be excited to see the blacktop arrive in July. The fish cleaning station and grinder concrete pad is in place as well as the new restroom building. The restrooms should be open by the end of June if all goes as planned. 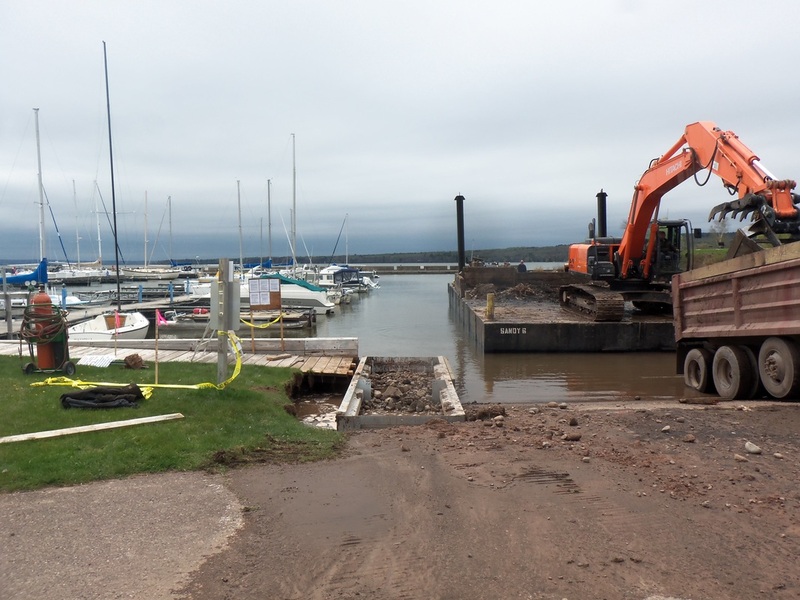 The boat ramp project described in March 2015 on this blog page has begun in the Fall of 2015. Additional funding opportunities became available and details in some of the design elements were ironed out. The basic design has not changed and an anticipated completion date is mid June 2016. Updates will be provided on a regular basis. 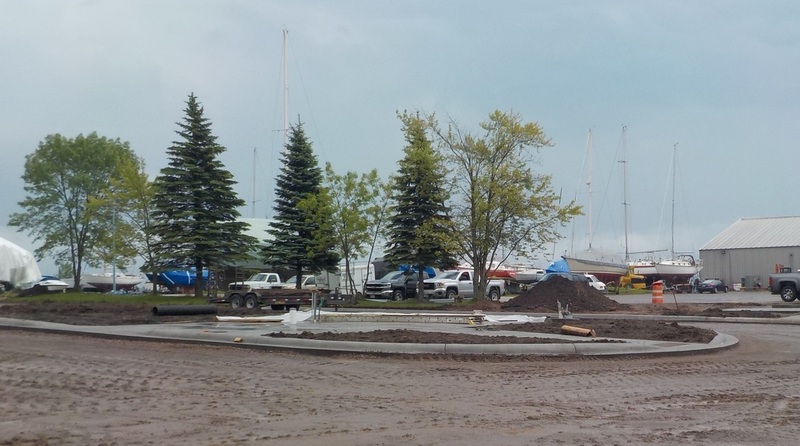 In 2009 the Washburn Harbor Commission created a comprehensive site plan for the Washburn Marina. Since its inception they have implemented portions of that plan on a nearly annual basis as funding and time allowed. 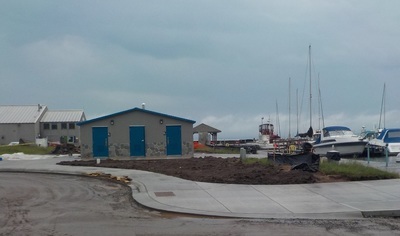 In 2013, the Harbor Commission was able to secure partial funding to proceed with the portion of the plan depicted above affecting the boat ramp and adjacent parking area. 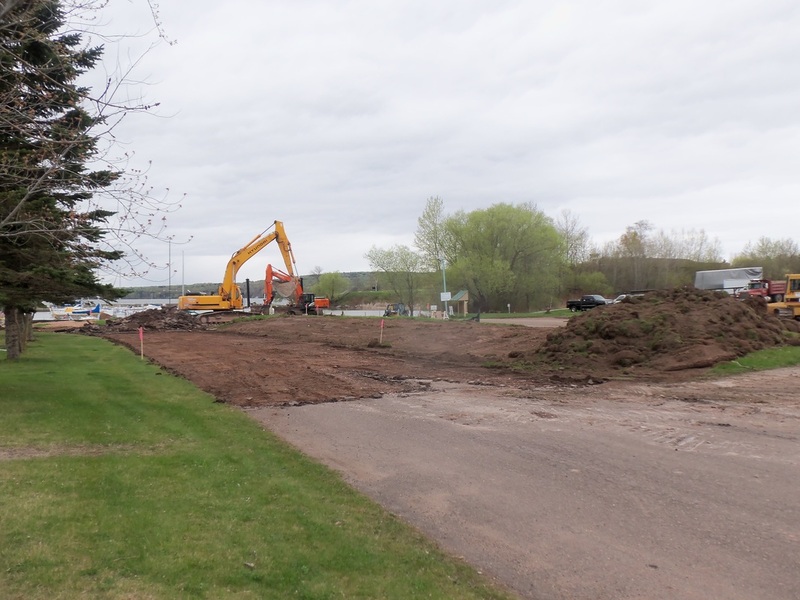 It was hoped the project would begin construction in the fall of 2014, but complications to portions of the funding and other issues delayed it. - Replacement of the existing ramp fingers and addition of guest slips to the northwest of the ramp. - Boater restrooms near the ramp and head of pier 3. - Boat wash down station and biofiltration basin to catch waste water and storm water run off. 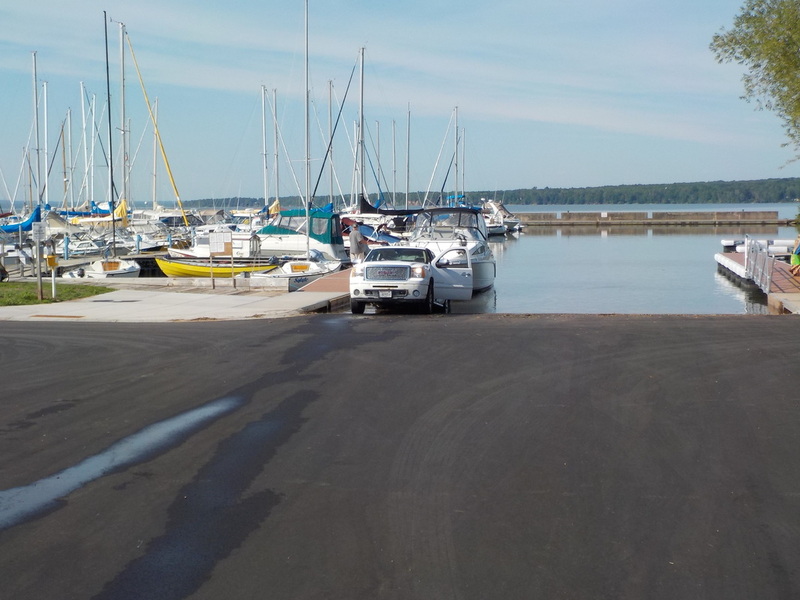 - Blacktop angled parking for vehicle and trailers while out on the water, with additional overflow gravel parking. - Improved circulation pattern to the ramp approach and exit. Have questions or want more information? Call us for details 715 373 5050.